I am the founder of Wunder Workshop, I was born in Australia to a Dutch mother and a half British, half Russian father. I grew up in Germany and moved to London about 6 years ago. I was very fortunate to travel a lot throughout my upbringing, always being inspired by different cultures and cuisines. My late mother was a naturopath so ever since I was little I can remember being surrounded by interesting books about botanicals and herbal medicine. We grew a lot of our own vegetables and ate beautiful fresh biodynamic vegetarian food. All in all, it felt natural to me after a little university and career detour, to start my own work with plants and their mind-blowing capabilities. 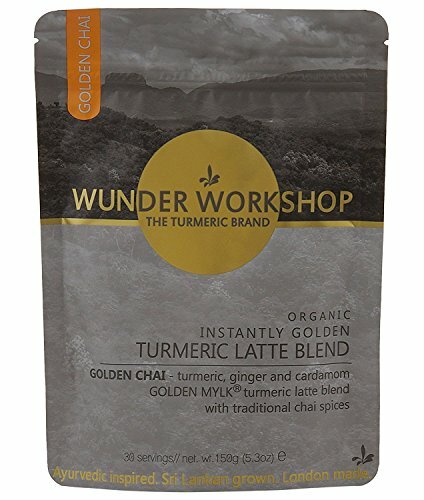 Wunder Workshop is the turmeric brand, our mission is to create beautiful products that are inspired by Ayurveda, and only use ethically sourced ingredients from sustainable community farms. 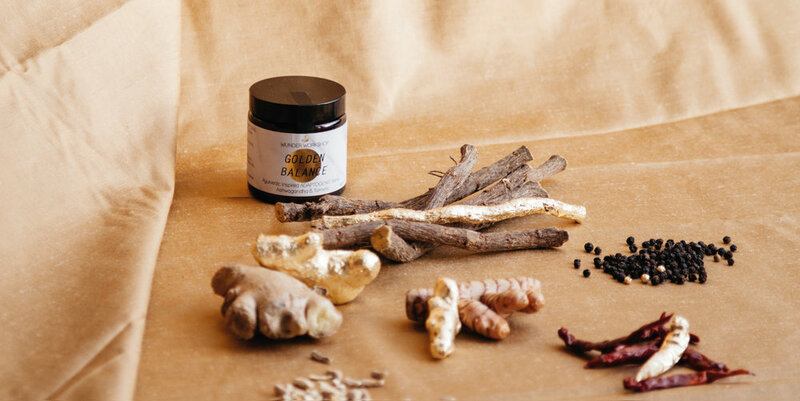 Our main ingredient is organic, single origin turmeric, combined with adaptogens, tonic herbs, CBD and coconut, all created for ‘consumption with purpose’. I launched Wunder Workshop in 2014, but as mentioned earlier it was inspired by my late mother and my upbringing, so it was a very long natural process and not one date where I decided to do it. We are very proud to be working directly with community farms that use a unique farming technique called Forest Gardening. This way of farming maintains the natural biodiversity of the flora and fauna, and doesn't deplete the soil of its nutrients which is common with mono-cultural farming. We adhere to the strictest organic standards and we pride ourselves on our quality. The recipes have all been inspired by Ayurveda and Traditional Medicine. We celebrate the vast knowledge that these traditional medicine systems hold and donate 1% of our revenue to small community projects that assist in maintaining this knowledge, we also support a charity that works to empower women in Sri Lanka. My favourite Wunder product at the moment is our Golden Shrooms, it is a combination of powerful ingredients that I combined to increase endurance whilst maintaining equilibrium and an optimum immune system.